As a professional blogger, I aspire to provide top-notch services to my clients. Part of it is writing kickass content that their audiences will love. 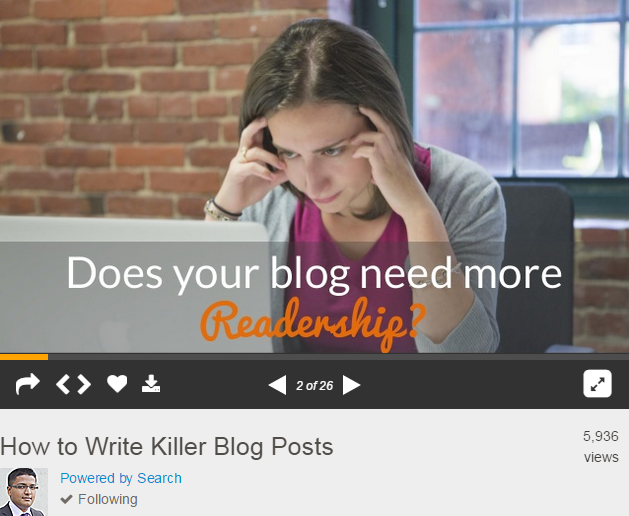 Most bloggers have become much smarter in their approach to writing. They observe the best practices when writing content before publishing them on their blogs. These practices result in increased traffic and engagement from readers. For clients, nothing is more desirable than bloggers who provideÂ content that audiences love. In this post, I will share tips on how I write irresistible blog content. These helped me gain and keep most of my blogging clients. What will the reader take away from the post after reading it? How will I reach the goals set by the client with my content? For the first question, I make sure to include actionable items in the post. I can spread them throughout the post or summarize the items at the end. Either way, these encourage your readers to follow the tips and advice detailed in the post. Tip:Â Make the actionable items easy to follow so readers can do them on their own. For the second question, I determine the goals that clients want to achieve when I write for them. Click Here to Tweet This Quote! Once you have narrowed down your goals to just one, use that in your writing. If you want to point visitors to your landing pages, place a link to any of these pages on the content body. As a non-native English speaker, I am confident with my English writing skills. But this does not always translate well to English-speaking clients. While not writers, they can see theÂ sentenceÂ and grammar mistakes from a mile away. Even after editing the post, there are still few errors that slip through the crack. To combat this, I have enlisted the help of Hemingway to tighten up my writing. This free online tool works like a personal editor. It detects sentences that are difficult to read so I can edit them. It also finds the use of phrases, adverbs, and passive voice that you need to reword or remove. Writing on Hemingway for the first time will feel strange. This is trueÂ for those who write long sentences and use the passive voice. You will find yourself rewriting your sentences most of the time. But if you obsessÂ over getting things right, then you will love this free tool. Hemingway helps you establish your writing fundamentals so you can compose much better posts. It also corrects bad writing habits that you keep committing. 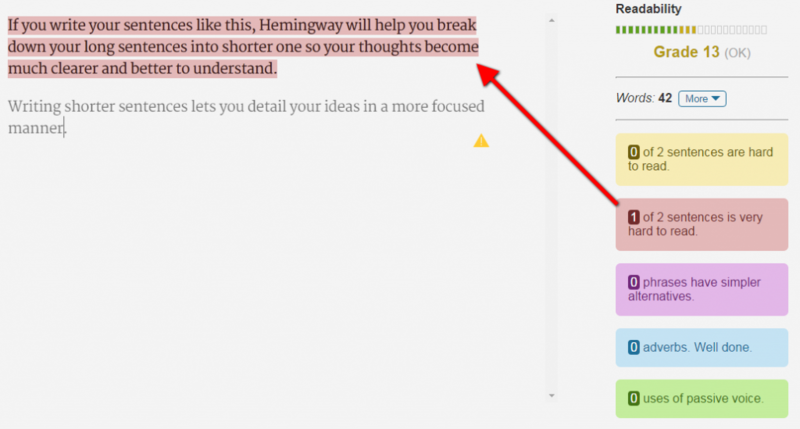 Once you finish using Hemingway, run your post using Grammarly. This tool finds grammar errors for you to correct. You can download and enable a Chrome or Firefox extension of this tool. The free version only points out your mistakes but never provides the correction. But Grammarly Premium does, and it is one of my favorite writing tools to date. Paste the post onto the document and see the errors that you have committed. The best thing about Â the paid version is the option to edit your text using different contexts. Whether it is writing an email or a dissertation, the tool will edit your text using your chosen context. Other cool features include the plagiarism checker and vocabulary enhancement. I wrote a detailed review of Grammarly Premium at BloggingPro. I recommend bloggers serious at their craft to get the Premium copy of this tool. It helped me keep one of my clients to continue working with me! The written word is one of the many content types you can include in your post. The rise of visual content encourages bloggers to include different media into their posts. One of them is the use of images. Aside from paid stock images, PixabayÂ lets you download high-quality stock photos for free. You can also sign up to Unsplash to receive 10 hi-res images every 10 days at no cost to you. Find images that fit your post. Do not use image that have nothing to do with your topic. Since the post is about writing, I used the image above as example of a picture relevant to your post. Visual content garners lots of social media shares. Thus, edit the images using filters and adding text. For non-designers, you can use PicMonkey to drag and drop elements to your image. On the example above, I edited the image to include the title and website URL. Doing these helpÂ make the image much more shareable and “pinnable.” I detailed how you can do the same thing with your image in another post at BloggingPro. Tip: Before editing the image, make sure that you have the rights in doing so. For paid stock photos, read and follow the terms that the author included in the file to make sure you are in the clear. Aside from images, you can use videos to boost engagement and retention. Embed a related Youtube to help illustrate your points in a more dynamic way. Another type of visual content is a slideshow. Look for slideshows and documents relevant to your post at SlideShare and embed them on your post. Another great content to include in your post are tweetable quotes. Find a quote from an influencer in your niche related to your topic and paste it on your post. Open ClickToTweet Basic and paste the quote there. Shorten if necessary. Include the Twitter handle of the influencer and your blog in the tweetable quote. Tip: Make sure that the message in the tweetable quote fits when shared on Twitter. Copy the entire message on ClickToTweet and paste in on Twitter. The ClickToTweet character count is inaccurate. ItÂ does not acknowledge a link as a fixed count of 22 characters. Once a reader tweets the quote, Twitter will notify you and the influencer. 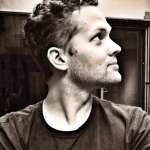 There is no one best layout for all blog posts. There are lots of factors to consider when figuring out how to format your post. 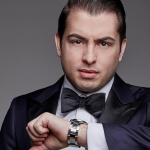 But it did not stop Derek Halpern from creating an infographic on how to write the perfect blog post. Like this? 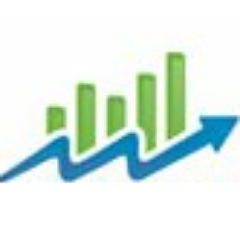 Learn how to use psychology to get more traffic and sales with Social Triggers. 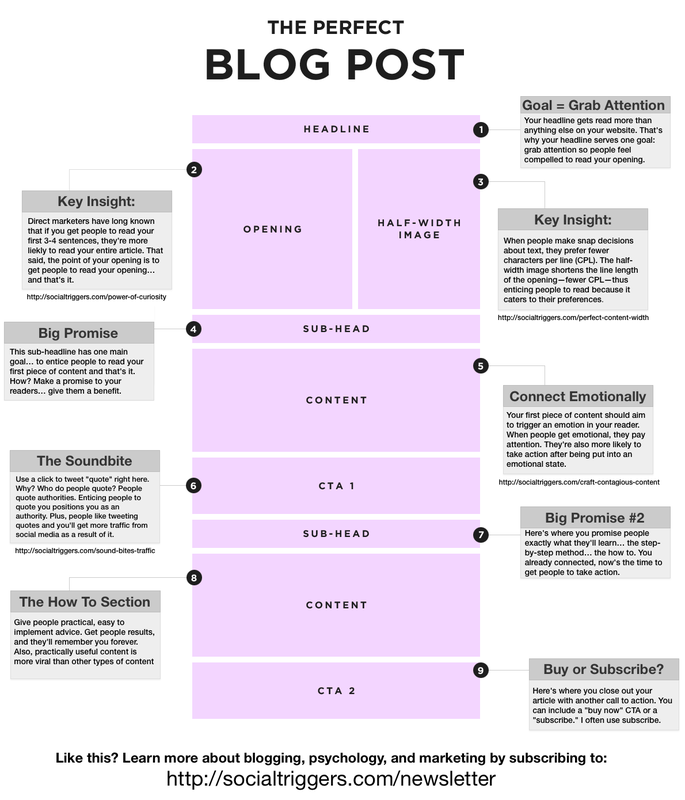 Bloggers do not have the same idea on how the perfect blog post layout looks like. But it helps present content in an easy to digest manner by breaking the wall of text using images and CTA buttons. Approaching your blog layout using this template may not be a bad idea. You can tweak it as you see fit moving forward until you find the best layout that works for you. Depending on your goal, you must apply the best copywriting practices. Doing so will encourage people to commit to your desired actions. 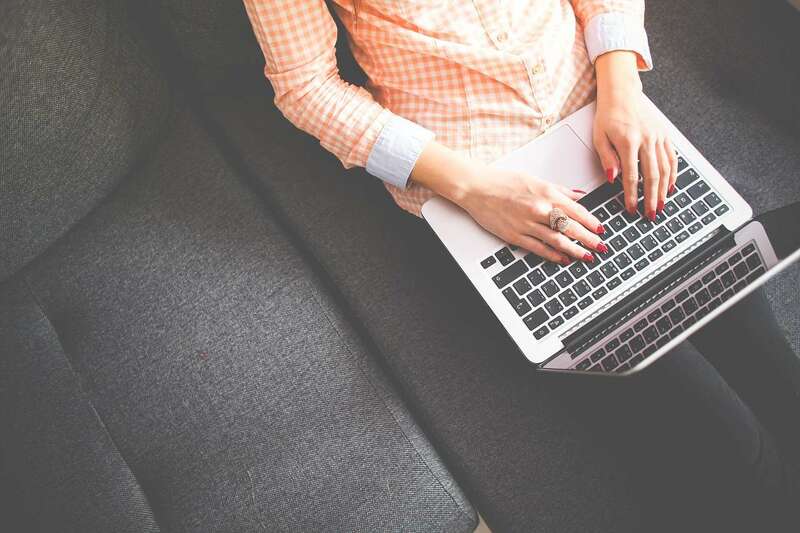 Here are basic copywriting tactics that you must apply for your blog post. Encourage action by using strong verbs. Start the sentence with words like “learn,” “download,” and “click,” among others. Avoid linking verbs at all costs. Visitors will not perform your desired action if they do not know what they will get in return. List the benefits in bulleted form to make them easier to read. Underline all the positive things that visitors will receive afterÂ committing to your CTA. Use different font colors to emphasize your call to action. You can also create an eye-catching button to boost your CTA even more. As seen on the infographic above, you can use more than one CTA in your post. Doing this allows you to see which CTA performs the best so you can emphasize that even more. You can improve the CTA that does not perform as well. Tip:Â Two great CTA tools I would suggest using are HelloBar and SumoMe. Both allow you to place an opt-in form on any part of your page to build your email list further. For those not interested in building a list, increase your traffic or followers instead. The best thing about both tools is that they can appear on all pages of your site, if not specific ones. You can customize when and where your visitors will see the boxes and bars. So why should I write like you again? I know, right? I mean, who am I to tell you how to write? But who I am does not matter. 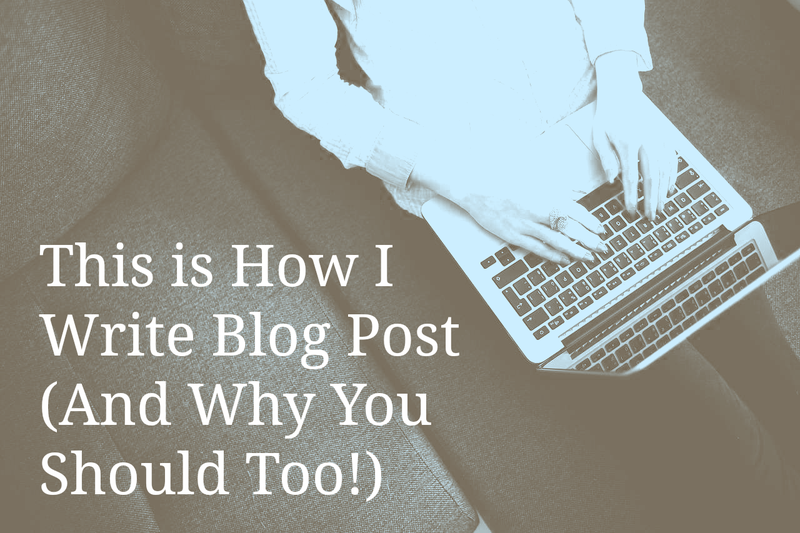 What matters is how writing your blog posts this way helps meet your goals in an effective manner. Planning your posts ahead of time lets you organize your research materials and thoughts. Once you are ready to write, all you need to do is focus on the actual writing. Using editing tools tightens your writing and helps you improve your grammar. Also, you can automate the editing process so youÂ can focus on the quality of your posts. Including different content types creates variety in your blog post. Users respond well to visual content. By adding different content, you create a more dynamic interaction with your readers. Keep your eye on the CTA. Reach out to your readers by crafting cunning CTA so you can extend the discussion past your blog post. Share your writing style by commenting below. Let us discuss your tactics, strategies, and techniques to write blog posts that make an impact. 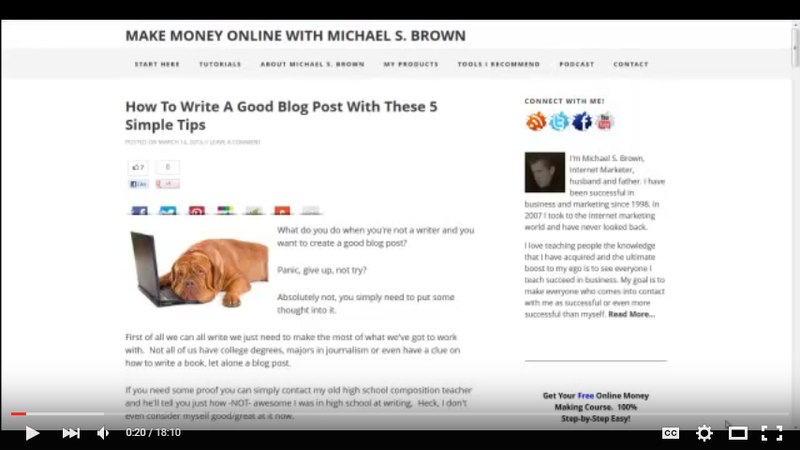 Take this time to share tools that help you in writing your posts. Educate and learn from the comments below to help you become an even better blogger! So, what are you waiting for? Comment now! I have a job in my to-do list which is to write a check list for blog posts to review before I publish. Looks like you might have just done this for me. Thanks! Of all the posts I have read on blogging, this has definitely proven to be the most helpful, practical, and informative. I am trying to get started and have been just overwhelmed with the process. You offer such simple insights. Look for me on the web shortly.